McMahon Bringing Back Names From The Past, Shocking WWE Release, Top Star Returning? - The Rock was hidden from fans and the majority of the WWE roster at this week&apos;s episode of Monday Night Raw in Brooklyn, New York. Even though it was understood he was in New York City, [almost] no one thought he would be appearing. - Lilian Garcia will sing the national anthem at Sunday&apos;s Denver Broncos at New York Jets NFL game at 1 PM ET at MetLife Stadium in East Rutherford, New Jersey. Dot com has more coverage that you can read at this link. - The 15th Anniversary of Smackdown aired Friday night on SyFy. If you missed the show, you can read results at this link. This week&apos;s Smackdown Fallout is online at this link. - If you missed the segment between Triple H and The Rock that aired on Smackdown but was filmed on Monday at Raw, you can watch it at this link. - Eden and Cody Rhodes get wedding band tattoos in her latest video blog. You can watch at this link. - Bret Hart has put the final piece of the Montreal Screwjob behind him. The Hitman reconciled with TNA referee Earl Hebner (who officiated the infamous Screwjob match against Shawn Michaels at Survivor Series &apos;97) at a Big Time Wrestling show over the weekend. You can watch the in-ring reconciliation at this link. Matt Hardy posted the footage of the moment 17 years in the making. The show took place Saturday in Virginia. TNA Wrestling has capitalized on the Screwjob fallout for years, selling shirts that say "Damn Right I Did." However, as seen in the video above, Hebner wore a plain Impact Wrestling referee shirt to the ring. - Latino-Review.com is reporting that Batista will play the role of Hinx in the upcoming Bond 24 film. Bond 24 will begin filming on December 6, 2014 with actor Daniel Craig reprising the starring role of James Bond for the fourth time. The flick will be directed by Sam Mendes and Pinewood Studios in England will host the majority of filming. According to the report, additional scenes will be filmed in Austria, Rome and possibly Morocco. You can read the exclusive report by Latino-Review.com at this link. Richard Reacts: Batista is breaking out as a big time actor. He had the role of Drax the Destroyer in Guardians of the Galaxy over the summer and has landed a role next to Robert De Niro. Given this news and it doesn&apos;t appear a WWE return is currently in the cards for The Animal. - WWE sent out an email blast to WWE Network subscribers on Monday, noting they&apos;ll begin running limited video advertisements. The breaks will not be during scheduled programming, will be limited between shows and will air occasionally before video-on-demand content. - Vince McMahon is working to add some star power back at the top of WWE&apos;s card. We&apos;re told he&apos;s accepted the current crew is probably the weakest they&apos;ve been in years in terms of overall star power. Randy Orton is still upset about his role and wasn&apos;t happy with the idea of getting the LOSER of John Cena vs. Dean Ambrose at WWE Hell in a Cell. I don&apos;t know if that&apos;s why that hasn&apos;t been announced or if that will alter plans but I do know he wasn&apos;t happy with it. We&apos;re told he continues to ask for time off off to recharge his batteries. Meanwhile, Vince has offered to give Orton a stronger push but doesn&apos;t want to give him time off. Actually, Vince wants to increase Orton&apos;s schedule. Right now, Orton doesn&apos;t regularly worked the Smackdown tapings on Tuesday night. We&apos;re told Vince doesn&apos;t want to commit to a stronger push when he&apos;s not willing to work full time. Apparently Orton was asked to start working Smackdown full time and refused. 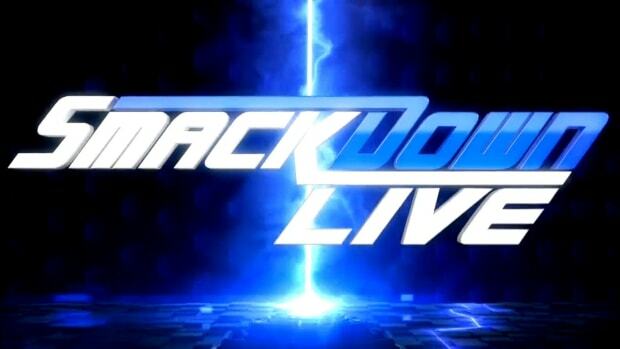 - Last week&apos;s episode of WWE Smackdown, the special 15th Anniversary episode, garnered an average viewing audience of 2,671,000 viewers on SyFy. TV by the Numbers has data for the entire night available at this link. Viewership was actually down from the week prior, which will probably be considered a disappointment given the occasion. - Dave Batista is in Mobile, Alabama where filming has began for "Bus 657," a film that stars Robert De Niro. De Niro hasn&apos;t arrived yet, however, AL.com took photos of Batista on the set at Hayley&apos;s Bar in downtown Mobile, Alabama on Monday. Unconfirmed reports indicate that The Animal is in negotiations to star as the villain Hinx opposite Daniel Craig’s 007 in the next installment of the legendary franchise. According to casting reports, the producers were looking for a physically imposing male with a unique look and a sports background — a description that fits Batista perfectly. If rumblings are true, it would be the second major role for The Animal who recently starred as Drax the Destroyer in Marvel’s “Guardians of the Galaxy,” the highest grossing film of 2014. WWE has chosen to not exercise its option to renew ring announcer Justin Roberts&apos; contract. Effective immediately, Roberts is released from WWE. WWE wishes him the best in all his future endeavors. Roberts worked for WWE for 12 years and became the company&apos;s Raw ring announcer on September 28, 2009 when Lilian Garcia left. He does have a business venture outside of wrestling, as he&apos;s the founder of Hands to Go, a portable massage system. So far, Roberts has not commented on his release. - John Cena & Dean Ambrose will face Kane, Seth Rollins & Randy Orton in a 2 on 3 Handicap Street Fight on next week&apos;s episode of Monday Night Raw. The show will emanate from the Sprint Center in Kansas City, MO. - Randy Orton had ultimate protection on this week&apos;s episode of Monday Night Raw and was announced in the co-main event of Hell in a Cell, where he will face John Cena in the structure. We first reported on September 15, 2014 here at WrestlingNewsWorld.com that Orton wasn&apos;t happy with his booking and had approached WWE officials about taking some time off towards the end of the year. With the company being light on top talent, WWE officials were reluctant to grant his request. Instead, they were going out of their way to cater to him to convince him to stay on. The original plan was for him to face Roman Reigns at Hell in a Cell but his injury of course changed that. Orton was not happy with the idea of facing the LOSER of Cena vs. Dean Ambrose at Hell in a Cell, which is likely why his opponent was determined on this week&apos;s episode of Raw. You can read about a recent backstage interaction between Vince McMahon and Orton at this link. The protection of Orton on this week&apos;s Raw was not be accident as the company was adamant to push him as the co-headliner of this month&apos;s Hell in a Cell pay-per-view. - Chris Jericho released his third autobiography on Tuesday titled The Best in the World: At What I Have No Idea. As part of the release, he allowed for one of his fans to pen a bonus foreword for the book. The winner was Claire Curran from Manchester, UK, however, I submitted an entry that I wanted to publish now that the contest is officially over. Congratulations to Claire for having her foreword included and congratulations to Chris on yet another book release. You can order his latest from Amazon at this link. The first time I saw Chris Jericho perform was on August 26, 1996 when he made his debut on WCW Monday Nitro in a match against Alex Wright. Entering to a song I could have swore I heard just nights earlier on an Atlanta Braves highlight package, I watched this charismatic blonde-haired international superstar refuse to take a count out win against one of the top cruiserweights in WCW. Jericho told "Mean" Gene Okerlund after the match he had a lot of respect for Alex Wright and he wasn&apos;t going to take a victory like that. He then declared war on Hulk Hogan and the nWo. I was enthralled. I was 11. Throughout the years I watched Jericho go from a young charismatic cruiserweight to the first ever Undisputed WWE Champion. The rise from an underutilized super talent to defeating The Rock and Steve Austin for WWE&apos;s biggest prize was a story that could have only been written in pro wrestling. From an afterthought to beating the two biggest superstars of the Attitude Era in one night was quite the feat and one that helps illustrate the story of Jericho. Chris Jericho is one of the most underrated professional wrestlers of all-time and the fact he was the "champion of champions" before Randy Orton signed his first WWE contract speaks volumes. Bret Hart wrote in his book that he evaluates talent on a three point system, looking at a worker&apos;s look, their in-ring work and their ability on the mic. Chris is one of the rare guys to possess high marks in all three and it was evident from the start. The norm is for a worker to possess one or two of the three and struggle in at least one of the other areas. Jericho has always been extraordinary, with the ability to play the protagonist that can elate a crowd to plead for him to "save us," with an equal ability to get over as the hated antagonist where he refuses to even speak out of fear of satisfying the masses. Couple the diversity of Chris&apos; character along with a level of in-ring work on par with greats like Bret Hart and Kurt Angle and it&apos;s no wonder he&apos;s been so successful. When I chose to pursue a career in the wacky world of professional wrestling after I graduated from West Virginia University in 2007, Chris&apos; first book, "A Lion&apos;s Tale," was one that I clung too early on. As a self-proclaimed Jerichoholic, I appreciated Chris&apos; perspective on the business and loved reading his funny stories. The difference in Chris from so many other pro wrestlers is his ability to make others laugh, while at the same time remaining humble and not blurring the lines from Jericho the person to Jericho the performer. In pro wrestling, humility is generally perceived as weakness but Chris is able to not take himself too seriously while also bringing a level of talent few are able to match. In an era where guys are looking for the most money for the least amount of work, Chris spent 2013 giving back to the business. He agreed to "do the honors" to a new up and coming superstar in Fandango at Wrestlemania 29 and worked with Ryback at WWE&apos;s Money in the Bank pay-per-view. Here was a guy on the level of some of the greatest names to ever walk through the curtain, putting over new talent in matches he didn&apos;t have to work. Watching a pro wrestling icon come back to help the business rather than himself is unheard of and one of the things I respect about the most about Chris Jericho. Jericho is more talented, more famous and more established yet he&apos;s not above giving back. I look at Chris as an inspiration for being multi-faceted and not being defined by any one area of his life. For most, becoming one of the greatest professional wrestlers of all-time would be enough but not for Jericho. Chris had another dream and that was to be a rock star. The first time I heard of Chris&apos; band Fozzy, one of my friends (now deceased) who was as well versed in music as I am in pro wrestling, told me about this pro wrestler playing with this ultra talented guitarist named Rich Ward. He explained Ward&apos;s history as a member of Stuck Mojo and how legitimate "this wrestler" must be to be paired with a guy like Ward. It was no wonder he was talking about Jericho. We would often get together and talk about the similarities between the life of a pro wrestler and the life of a musician and would marvel at the work of Jericho and Ward. I gained as much respect for Ward the musician as my friend did about Jericho the wrestler. It was of no surprise to me when Jericho wowed the audience on ABC&apos;s Dancing with the Stars after becoming a successful author. Chris is a rare breed of talent that can have success in anything he does. He&apos;s passionate, hardworking and grounded. He&apos;s not afraid to speak up for himself or admit when he let Drunkicho on Twitter. When it&apos;s been a tough day at the office, I&apos;ll often find myself in one of his books so I can laugh about just how crazy the pro wrestling business can be. It&apos;s not easy "fitting the mold" in a career in which I will always be viewed as an outsider. However, watching Jericho go from wrestler to author to dancer to game show host is a clear reminder of what happens when one makes the most of talent and refuses to be held down by stereotypes. Chris traveled the world in spandex and turned out to be a pop icon. When I started my first website with nothing more than a computer and an Internet connection in November 1999, all I had was a dream that someone from the other side of the world could have the ability to read what I had wrote. Never did I think I would be able to take that dream as a 14-year-old and turn it into a career where hundreds of thousands of people read my work. Chris Jericho is one of the biggest inspirations of my career and for that I am thankful. The fact I even have a shot at penning this foreword is proof alone of his unmatched humility that has been maintained despite his extraordinary rise to fame. It&apos;s a level of humility that can be tracked all the back to the first time I saw him in that contrived angle with Alex Wright in August 1996. I have a lot of respect for Chris Jericho and am eager to follow his next journey, whatever it may be. - There were a lot of guests at this week&apos;s episode of Monday Night Raw. Todd Chrisley (Chrisley Knows Best) and Nene Leakes (Real Housewives of Atlanta) were featured on camera. Ric Flair was there at one point, as was Diamond Dallas Page, Jake Roberts, Cody Hall (Scott&apos;s son) and Chili (from TLC). It might sound cliche, but I am truly overwhelmed & humbled by the messages I&apos;ve received. As a kid who grew up loving & living for professional wrestling, I was able to chase, catch & live an impossible dream. I was a part of events I couldn&apos;t fathom with the heroes I idolized from both WWF & various childhood favorite television shows (Hello Betty White). For a guy in a supporting ambience role--usually unnamed & unseen--I am blown away by the amount of people who apparently not only noticed, but also enjoyed my work. Announcing was my dream, until I realized the absolute best part was using my position to help others. It brought me so much joy to bring a smile to a fellow fan&apos;s face. The Superstars I&apos;ve announced & traveled with over the past 12 years are not only extremely talented to work year round and on the fly, but they are also the most unselfish people I&apos;ve ever met. I couldn&apos;t help others without their support. Not one Superstar or Diva ever once hesitated when I asked them to meet a fan..or autograph..or call..or do whatever was needed. After reading through all of your messages, I just want to say this: Please do not be angry & Please do not be sad. I lived my dream! I&apos;m glad that maybe now someone else will have a spot to live theirs. Many thanks to everyone I have worked with in WWE. Sue, the company gem & my guardian angel. The producers who have taught me so much and constantly let me pick their brains. The referees (They make it look easy. NOT an easy job). Security. Props. Audio. Lighting. PR. Cameras. Travel. TR. Catering. Production. PA&apos;s. My eyes and ears at the bell-Mark Yeaton. Everyone I have met along the way. Everyone who has come into my life because of this job & to those who I have never had the opportunity to meet, but have enjoyed my work. I appreciate & am grateful for everyone&apos;s support. To Vince McMahon, Kevin Dunn & The Authority who gave me this incredible opportunity, I&apos;ve got two words for ya: Thank You. The journey has been incredible & almost unbelievable. This is the opportunity I&apos;ve been waiting for to pen the final chapter of my memoirs. Richard Reacts: Well, that was sad but it&apos;s cool to see Justin handle his release with such class. This is a difficult part of my job because it&apos;s terrible news to have to relay to the public. We still don&apos;t know what happened. WWE shocked everyone when they reported on dot com Monday after Raw they had chosen not to exercise the renewal option on Roberts&apos; contract. I have some people looking into the story but this was an uncharacteristic release. Everyone I spoke with was "shocked" when they heard Roberts had been released and it hardly following the company&apos;s normal protocol. WWE usually saves such announcements for the late Friday afternoon news dump, unless an incident occurred where the release was unavoidable. I personally want to wish Justin the best and commend him for handling his release with class and dignity. - Justin Roberts spoke out about his WWE release for the first time in a humble and appreciative statement on his Instagram account on Wednesday. The statement did not give specifics about why he was terminated after this week&apos;s episode of Monday Night Raw. It was announced in the hours following this week&apos;s episode of Raw that WWE had chosen to not exercise the option to renew Roberts&apos; contract. As a result, he was released effective immediately. There is new evidence to suggest Roberts&apos; release was a surprise to him as well. On September 10, 2014, Roberts posted his updated WWE announce schedule on his verified Facebook fan page. It was there where it was seen he was booked for WWE shows through November 24, 2014. October 15, 2014 2:47 PM EDT Update: One note I wanted to add to this report is that it should be noted that Justin Roberts was scheduled to be off from this week&apos;s episode of WWE Raw until WWE Hell in a Cell on October 26, 2014. End update. We&apos;ve already noted that Roberts&apos; release did not following company protocol and are still investigating claims of an alleged incident on Monday with Michael Cole. However, the above seems to indicate that Roberts had planned on being with the company through next month at the very least. On Triple H&apos;s leadership in WWE: "He’s done a tremendous job with the Performance Center in Orlando, and with NXT. They have a great product, the guys that are coming out of there are really great. I was just thinking about that the other day, you could always tell there was something special about him. Certainly he knows the wrestling business like no one else, he’s got a fabulous mind. When you’re talking about people I’ve worked with who have influenced me as far as character development, he’s one of them. I don’t know which is more surprising, the fact that he’s in the role that he’s in, or that I’m still here in WWE 20 years later." On possibly wrestling Sting: "That would be a dream come true [to wrestle Sting], because Sting is one of the guy who I looked up to when I was a youngster. The dude was the face of WCW, and before that the NWA, one of the most popular wrestlers in history. That would be pretty awesome, and I think that a Sting vs. Undertaker story would be awesome as well, because you would see the faces of two different companies from the same generation collide." On a Kane origins film: "That actually would be quite interesting, wouldn’t it? Because the thing that made Kane so unique, and such a great character in WWE, is that he does have a backstory that’s unique to him. He’s a character within sort of the WWE Universe, and he’s a clearly defined character. So yeah, that would be really cool, because you could get into the whole history of what happened with Kane and The Undertaker as kids, so that would be interesting." You can read more from the official WWE website at this link. - JBL used his Facebook page on Thursday to debunk rumors of a ringside incident between Michael Cole and Justin Roberts at Monday&apos;s WWE Raw in Atlanta, Georgia. As we reported here on WrestlingNewsWorld.com, this was something that started on Twitter in the moments after it was reported by WWE.com that Roberts was released from WWE and was never confirmed. We reported here on WrestlingNewsWorld.com on Thursday that the WWE release of Justin Roberts was budget related and did not involve a scandal or heat. I was also personally told that Roberts knew on Monday that it would be his final night with the company. - Darren Young talked about coming out and being himself in a new comeback video. You can watch it at this link. Young is recovering from a torn ACL and MCL (cruciate injuries) that he suffered while working Fandango at a live event back in April. The last I heard, he&apos;s hoping to return to the ring before the end of the year. - WWE announced on Thursday they&apos;ll report their third quarter 2014 results on Thursday, October 30, 2014 before market open. Vince McMahon and George Barrios will host a conference calls with investors at 11 AM Et that morning to discuss the results. The report will be significant in that we will get an update on the number of WWE Network subscribers. WWE announced on April 7, 2014 they had 667,287 WWE Network subscribers. In July, it was learned the WWE Network had 700,000 subscribers as of June 30, 2014. We&apos;ll cover the results and will be on the call with live coverage here at WrestlingNewsWorld.com. - The Undertaker&apos;s "eerie artifacts" are featured in the latest episode of WWE Warehouse that&apos;s now online. You can watch at this link. - Dot com has a new feature article online where they look at the 16 most decorated champions in WWE history. Click here to read it. - The 2014 WWE Slammy Awards will take place on the December 8, 2014 episode of Monday Night Raw. This according to local event information by the Bon Secours Wellness Arena website. The venue, which is in Greenville, South Carolina, will host Raw that night from the city. RAW Main Event: John Cena and Dean Ambrose vs Money in the Bank Contract Winner Seth Rollins and Kane. Plus, you’ll see WWE World Heavyweight Champion Brock Lesnar, WWE COO Triple H…AND The Slammy Awards will take place live in Greenville! The Divas and many more! Click here to check out the local event listing. Official event information is available at this link. - Hulk Hogan is being advertised for next week&apos;s episode of Monday Night Raw from the Sprint Center in Kansas City, Missouri. The tagline from the Sprint Center website is that Hogan returns to Kansas City for the first time in over a decade. Hogan last appeared on the September 29, 2014 episode of Raw from Chicago, Illinois to help kickoff WWE&apos;s third campaign with Susan G Komen called Courage, Conquer & Cure. Utilizing Hogan more is at the direction of Vince McMahon as he realizes the company is light at the top of the card and is looking to the likes of Hogan to add star power to shows. Ric Flair is another name that could be utilized more often, even though Vince cringes every time he picks up a live mic. We have more on what Vince is doing to "beef up" shows at this link. - There are no plans to raise the price of the WWE Network. The company began showing limited advertisements on the $9.99/month (with 6-month commitment) on Monday and that is the latest step to monetize the over the top service. Other price points have already been introduced if a subscriber does not want to commit to a monthly re-bill for 6 months. - This week&apos;s episode of The JBL (not Cole) Show is now online at this link. - For those that missed our earlier coverage about the 2014 WWE Slammy Awards taking place on the December 8, 2014 episode of Monday Night Raw in Greenville, Brock Lesnar is also advertised. This should help calm concerns about Lesnar not being booked for WWE for the rest of the year, something I&apos;ve tried to dismiss a couple of times. The truth is WWE is uncertain about Lesnar&apos;s next date. They haven&apos;t decided what to do about Survivor Series next month but Lesnar is not in the plans for Hell in a Cell. Obviously the fact he is advertised for the go-home to WWE TLC episode of Raw could indicate he&apos;s in the plans for that pay-per-view but that&apos;s merely an observation. Once we hear about updated plans for Lesnar, we&apos;ll post them. Someone said they can&apos;t believe people were offended, Tweeting it&apos;s not like Dixie Carter&apos;s Tweet caused the storm. One person said people are too sensitive nowadays. Another said anyone offended by Dixie Carter&apos;s James Storm Tweet is an "ignorant, self righteous moron." 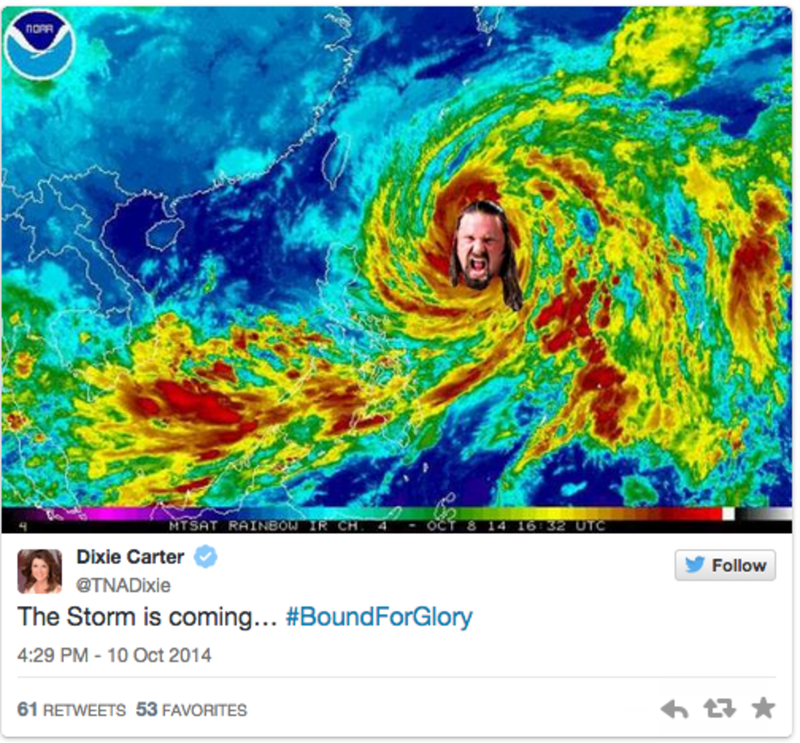 Dixie Carter&apos;s Tweet was ill-timed, insensitive and maybe even offensive. However, the Tweet isn&apos;t my source of frustration. My source of frustration has to do with the fact we&apos;ve had less than 10 TNA news stories in the week leading into the company&apos;s biggest pay-per-view of the year. Out of those stories, we have an update on #TheWrestlers in The Amazing Race, the Tweet itself, this week&apos;s Impact viewership, the ridiculous CM Punk story, Impact results, an exclusive Kharma/Awesome Kong interview, an Impact preview and details on how fans can get 20% off merchandise for buying a ticket to TNA&apos;s UK tour. Nothing about Bound for Glory! In fact, Dixie Carter&apos;s Tweet was the first thing we&apos;ve posted about the pay-per-view all week. We&apos;re the source of the most interested and invested pro wrestling fans on the planet. People that visit this website do so to get the story behind the story. We&apos;re the 1%, the people that watch through thick and thin. Often called "smart marks" or "smarks," one could say we&apos;re the biggest marks of them all because we continue to support the product even when we shouldn&apos;t.
We&apos;re part of the reason Impact draws a consistent viewership average of 1 million each week, regardless of content, timeslot or anything else. We&apos;re the reason numerous independent promotions exist and can make some side cash on the weekends. We&apos;re the people that help keep stars relevant, even when their days in the spotlight are decades behind them. Yet TNA has given us nothing for this year&apos;s Bound for Glory. At a time when they need it the most, there are crickets. No stories. No juicy backstage rumors. Just a stupid Tweet and the fallout from it. One reader commented, "it got people talking didn&apos;t it?" It sure did. Dixie finally got us talking but about something that gives us no reason what-so-ever to buy the show. A shameless/shameful attempt at promotion at a time when no one is talking about TNA&apos;s biggest event of the year. Jeremy Lorence The weird thing about this year&apos;s Bound For Glory is that while it still could end up being a very good event it&apos;s basically a cross promotional thing with most matches having no connection to TNA&apos;s current storylines. I think that&apos;s why some are comparing it with the One NIght Only events. But I think the oddest decision is having no World Title match. And yes I do know that WWE&apos;s current heavyweight champion isn&apos;t at every pay per view either but if it were Wrestlemania they&apos;d make sure there would be a world title match. So I think not having Lashley defend the title at BFG is a mistake. And by no means am I trying to come off as anti TNA. I think TNA has been delivering some really great Impacts over the last several months. I just think some of the decision making is a bit odd for what is considered to be TNA&apos;s SuperBowl. Louis Dufresne Sorry Dixie. This year&apos;s BFG is basically Global Impact 3. I like the &apos;back to basics&apos; flow of Impact lately but something needs to change quick. TNA has been on a slow and steady decline since January 2010. I&apos;m going to lose another wrestling company I love, and I&apos;m not alone. I really hope TNA gets a new TV deal soon, otherwise I think EC3, Joe, Roode and Storm will make great additions to RAW. Austin Allen Love how this is Japan. Hate how there is no world title match. It&apos;s you&apos;re biggest show of the year, how can you not showcase the most important title in your company? Ridiculous. With wrestlers upset about the lack of dates, fans disgruntled about the biggest show of the year and the fact TNA is going to have to drastically scale back if they lose Spike TV, how much worse can it get? As someone that depends on the pro wrestling business and its success to make a living, I am frustrated and disappointed. However, beneath that, it saddens me to see the current state of TNA Wrestling. - Bully Ray & Devon, known collectively as Team 3D, were inducted into the TNA Hall of Fame on Saturday. ImpactWrestling.com covered their induction at this link. Team 3D will oppose Tommy Dreamer & Abyss at Bound for Glory, which is taking place as I type this. After reading all that, I actually feel bad for her. We&apos;ll continue to hope for a reset because Bound For Glory clearly wasn&apos;t it and only highlighted the sad state of TNA Wrestling. - This week&apos;s episode of Impact Wrestling garnered an average viewing audience of 982,000 viewers on Spike TV. This is down sharply from last week&apos;s viewing audience of 1,102,000 viewers. TV by the Numbers has data for the top 100 cable programs among adults 25-54 for the whole day at this link. I know that WWE likes the additional revenue they get from the USA Network for the third hour of Raw but as you&apos;ve pointed out, it&apos;s negatively impacting the quality of the product. Why doesn&apos;t WWE go back to 9-11 for Raw and use the 8-9 slot for NXT? Prior to Raw going three hours each week in July 2012, WWE was given an additional hour of TV by the USA Network. Vince McMahon told investors in a conference call that the additional hour would feature a new one-hour live show. There was a lot of talk and speculation about what it would be before WWE finally announced that Raw would be expanding. Since then, I&apos;ve done nothing but criticize the move. I explained my position in Ask WNW on Friday and it seems you agree with me. You are not the first to suggest WWE move NXT to air before Raw, however, that would take an original program away from the WWE Network. Adding NXT to the USA Network would mean new episodes wouldn&apos;t be able to air on WWE Network for 30 days after airing on USA. Given WWE&apos;s need for more original programming on the WWE Network, I don&apos;t see it happening. I liked how WWE aired Tough Enough in 2011 after Raw and would be all for a WWE original program preceding or proceeding Raw to fill the three hour timeslot. It would help break up the content, ease the burden on the writers and likely eliminate some of the dreadful filler content. What makes a great match? What is your favorite match in pro wrestling history? I like pro wrestling matches that tell a story. Fast-paced bouts with cruiserweight type talent that are essentially "spot fests" are fine and can be exciting but I&apos;m more of a traditionalist. I like the work in the ring to tell me about the program, engage the crowd and create an experience that leaves me invested in every near fall. It&apos;s difficult for me to pick my favorite match but if you&apos;re forcing me to give an answer, I&apos;m going to say Shawn Michaels vs. Undertaker at Wrestlemania XXV and again at WrestleMania XXVI. Both of those matches exemplify everything a great match should be and what a way for Shawn Michaels to go out. Would you have Erick Rowan join The Authority? Adding Rowan could offset either Randy Orton or Kane taking time off plus it would give Rowan something to do. Do you see Jeff Hardy having one more run with the WWE? Jeff Hardy revealed last summer that he wants to finish his career in WWE. There was interest in him a couple of years ago when he re-signed with TNA Wrestling, so I believe it&apos;s reasonable to assume he could end up back in WWE. I wouldn&apos;t mark it down as a sure thing but I certainly do not think it&apos;s beyond reason. February 2013: With Brock Lesnar signing a new WWE contract is it possible we may see him as either WWE or World Heavyweight Champion? - We actually heard (and reported here) that Brock Lesnar’s new WWE contract included a title reign. Check out that article for all of the perks in his new contract as the dollar amount was reported to be “in the millions.” Vince McMahon has clearly changed his mind in strapping part-time talent but The Rock as WWE Champion is a great example. Rock is doing all kinds of media right now with the WWE title belt. It’s free promotion that only increases what he’s worth to the company. Whoever takes the title off Rock, even if it’s John Cena, gets a burning torch. I&apos;ve read plans for Daniel Bryan&apos;s surgery are back on. What&apos;s the latest? Daniel Bryan is back in the news following rumors that a potential elbow surgery could be back on. In our update last month, we noted how Bryan could be back by the end if the year if he didn&apos;t have another surgery. However, if he does have surgery, a return this year is obviously off the table. David Shoemaker of Grantland.comstated in August (on Twitter) that he heard Bryan needed Tommy John Surgery. Bryan talked about undergoing elbow surgery in a recent promotional interview, revealing surgery was even scheduled at one point but canceled so doctors could run more tests. Daniel Bryan will not be cleared to return to the ring until the strength returns to his arm. Fans are already hoping he&apos;ll be able to return as a surprise return in January&apos;s Royal Rumble match and as I discussed in the latest Premium Mailbag, if Bryan is healthy, he&apos;s who should go over. However, surgery would make a return at that point unlikely. Yes and no. This week&apos;s episode of Monday Night Raw had a better flow to it and was actually an enjoyable broadcast for a change. So I want to be careful how I answer this. It was absolutely the right thing to do in putting Dean Ambrose over John Cena, however, in trying to make Cena vs. Orton the 1A main event of Hell in a Cell, multiple logic gaps exist. I thought the whole thing was just ridiculous. After Ambrose and Cena have been going at each other for 2 weeks, Dean gets the win and Cena just seems to instantly forget all of his feelings towards Amborse/Rollins and suddenly wants to feud with Randy Orton AGAIN out of nothing. Let alone the fact that there was no mention of the WWE Championship throughout the night. I guess nobody cares about challenging Lesnar for the title now that he&apos;s not on the show? Madness. For those that have been keeping up, WWE wants to keep Randy Orton happy. However, in trying to continue to assure Randy that he&apos;s still a top priority, it makes it look like they lack confidence in Dean Ambrose vs. Seth Rollins as a pay-per-view main event. We&apos;ll see how to plays out but I don&apos;t want to continuously criticize WWE when they made the right move and kept Ambrose hot. I really enjoyed this week&apos;s Raw for many reasons but one of them was - Randy Orton presenting himself as someone for the younger guys to go through and the story they told with Ziggler. What are your thoughts on Randy after Raw? How do you feel about Ziggler, as Intercontinental Champion, losing to a non-titleholder? In my view it further devalued an already meaningless title. I published these questions together because they show both reactions from the match. Once again, Vince McMahon wants to show Randy Orton that he&apos;s still a top priority. They also needed to restart on him as a "force to be reckoned with" if he was going to be considered a viable threat to John Cena or Dean Ambrose. Dolph Ziggler played the role of the sacrificial lamb in a well worked bout. I hate it when champions go under clean in non-title matches and will not change my opinion here. Why have the titles if they aren&apos;t going to be used? I&apos;m not suggesting Randy Orton should be Intercontinental Champion as much as I&apos;m suggesting his bout should have been against someone else. WWE needs their midcard belts to mean something right now with the World Heavyweight Champion MIA. However, all things considered, this was a good match where Ziggler was at least booked competitive. The first reader felt it made him look good. So while I agree with the second reader in that the match did nothing but hurt the value of the Intercontinental Championship, it did accomplish the task of building Orton without completely burying Ziggler. Who do you see headlining Wrestlemania in the next 3-4 years? Well if WWE continues to rely on part-timers and John Cena has shifted his schedule to reflect as much, I predict he&apos;ll be the guy to face. Seriously, what did you expect me to say? The company will be ran by Bray Wyatt, Dean Ambrose, Seth Rollins and Roman Reigns? I would love to sugarcoat this and explain how WWE&apos;s next wave of talent will be completely featured in the coming years, however, that is by far from a guarantee. I can&apos;t predict the future but I am hopeful some of the names I&apos;ve mentioned -- if not others --- are working in the top of the card. October 2012: When a WWE worker makes a non-wrestling appearance (e.g. autograph signing, media appearances, etc.) does the company instruct them to appear in or out of character? - WWE workers have a lot of freedom in media interviews but there are directives that come down from the office. Obviously the company doesn’t want stars leaking storylines and generally speaking, they want the focal point of the interview to promote the product. We’ve seen it all – from Randy Orton completely shooting on Kelly Kelly to Sheamus constantly remaining in-character during media appearances. John Cena is known for focusing on the product in-character and is seen as the best promotional mouthpiece they have. Speaking from experience, when I’ve done interviews with workers alongside radio anchors, the radio station has met with company officials to let them know to keep it clean. My biggest pet peeve with interviews (and why I don’t do many of them) is workers using them to put themselves over rather than actually answering the questions. Kind of like what we saw with the Presidential debate on Tuesday night, where the candidates would be asked a question, but skirt around it to get to their approved campaign rhetoric. I seem to remember a 30-day compete clause on championships, why should WWE allow for the World Heavyweight Championship to go undefended (unseen for that matter) for more than 30 days? You remember correctly! WWE conveniently forgets rules to make them work in their favor. One major logic gap that has been pointed out lately is how Daniel Bryan was stripped of the title in the first place because he wouldn&apos;t be on TV for several months but now Lesnar hasn&apos;t been seen since Night of Champions. I agree that it&apos;s ridiculous but it&apos;s WWE relying on their audience to have a short memory so the "rules" can work in their favor. With Vince McMahon realizing how light WWE is at the top of the card, do you see protected pushes coming for deserving stars such as Cesaro, Dolph Ziggler and Bray Wyatt? I believe now is a great time to protect the workers you mentioned and push them to the moon but I lack confidence that it will happen. Vince McMahon has tinkered with pushing both Cesaro and Dolph Ziggler but pulled back on both on more than one occasion. Bray Wyatt was completely lost and now WWE is working to restart on him. The issue is, will the restart be at the level he once was or a watered down version? I&apos;m hoping for the former but sadly, the latter wouldn&apos;t surprise me. When will Randy Orton finally turn on The Authority? We&apos;ve received a lot of questions about Randy Orton following this week&apos;s Raw. A lot of people seem to envision a babyface turn is in the works at some point. I can&apos;t confirm but can tell you that Vince McMahon wants to show Randy he&apos;s still a top priority in order to talk him out of wanting time off. This is why the random co-main event for Hell in a Cell was thrown together. The original plan was for Orton to co-headline against Roman Reigns. Who is the No. 1 contender for the WWE World Heavyweight Championship? WWE doesn&apos;t have a clue! Originally, the thinking was they would blow off Brock Lesnar vs. John Cena in a Hell in a Cell match but that was before it was learned the company would be without Roman Reigns. Now, Lesnar was taken off the show and WWE is focusing on the underlying issues with Cena, Ambrose and The Authority. Has there been any talk of reintroducing the World Heavyweight Championship to offset the loss of the WWE World Heavyweight Championship not being featured weekly? No, I haven&apos;t heard any talk of reintroducing the World Heavyweight Championship. I was against unifying the belts in the first place and my point is proven each week Brock Lesnar is missing in action. At the very least you would think WWE would restart on one of their midcard belts but that hasn&apos;t been the case. What do you think of the state of TNA? I am as worried about the future of TNA Wrestling as I have been in quite some time. TNA apologists will say I&apos;m overreacting but I see problems at every turn. Talent is disgruntled because the company isn&apos;t running shows, so they aren&apos;t making money. Contracts aren&apos;t being offered until domestic TV is sorted out as Samoa Joe&apos;s deal is coming up and he hasn&apos;t even been offered an extension. Some workers have been told they will be given extensions but haven&apos;t been offered deals because TV hasn&apos;t been sorted. Momentum was at an all-time low for Bound For Glory, something I can state as a definitive fact and not a pessimistic opinion. The first thing TNA needs to do is sort domestic TV. There has been some optimism recently but we haven&apos;t heard of a deal being signed yet. The two networks believed to be frontrunners are WGN America and Velocity HD. Once a deal is signed, TNA should be able to create a budget and start re-signing talent. Then, they&apos;ll have to figure out what they are going to do about domestic live events. So the process is domestic TV first, sort talent and then figure out their touring schedule. Without knowing the financials, Bound For Glory was a complete failure and did not help create even the illusion of momentum or stability. January 2012: Do you think WWE will ever make a physical Hall of Fame building like there are in most major sports? - While not finalized, there have been rumblings about WWE building a physical Hall of Fame. I’m unsure of the proposed location and other details but it’s a likely a project that will be undertaken in the future. Right now a lot of resources are being allocated to launch the WWE Network so I don’t see it as something that is imminent; however, it is something that I believe WWE officials find of interest. We all know that Superstars like John Cena and Randy Orton have huge creative control over things but what about guys like Roman Reigns or Bray Wyatt? How much control do they have? Neither Bray Wyatt nor Roman Reigns have significant control over the booking of their respective characters. That is completely obvious given how cold Wyatt has been since SummerSlam and the fact Roman Reigns was miscast in a dreadful interview segment on last week&apos;s Raw. Even John Cena and Randy Orton ultimately have to do what their told. They obviously have more influence than most, however, they don&apos;t get to dictate their respective direction. When Peter Rosenberg expressed frustration to Nikki Bella about her program with Brie, she made it very clear, she doesn&apos;t write the show. At the end of the day, no one other Vince McMahon really has creative control. Everyone can pitch their ideas and what not but what Vince or Triple H says, is what goes. Do you foresee a monster push for Ryback upon his return from injury? WWE is light on talent at the top of the card and Ryback has worked there before, so it&apos;s not out of the realm of possibilities the company restarts on him in a big way. However, I cannot confirm that and most everyone here knows that I believe someone else should get the opportunity. Talent such as Bray Wyatt, Dolph Ziggler, Cesaro and others have been waiting in the wings and should get a chance at it before Ryback gets another. One name that has really fallen off in Ryback&apos;s absence is Curtis Axel. I am unaware of any comeback plans for either as of this writing. Do you think WWE will sign Brock Lesnar to another deal similar to the one he has now? Brock Lesnar originally signed a one-year contract with WWE in 2012 before agreeing to an extension for another two in January 2013. His latest deal runs through Wrestlemania 31 next year and it will be up to WWE as to whether or not he&apos;ll get another one. I do not feel an extension should be offered. It&apos;s not that I dislike Brock Lesnar, in fact, quite the opposite. However, Lesnar&apos;s luster has worn off and there&apos;s no reason for WWE to sign him to another exorbitant contract for a lot of money without a lot of dates. I doubt WWE will be willing to offer such either given the fact they&apos;re cutting costs wherever they can in attempt to make the WWE Network profitable. WWE&apos;s entire business model has changed since they first signed Lesnar and the only way I can see them moving on with him is at a steep discount. Why was Daniel Bryan asked to vacate the WWE World Heavyweight Championship vacate it because he couldn&apos;t actively defend it but Brock Lesnar was made champion and is missing in action? This is a point I purposely wanted to revisit from Wednesday&apos;s installment of Ask WNW. I wrote about it being ridiculous how Brock Lesnar - as WWE World Heavyweight Champion - has been off TV since Night of Champions when Daniel Bryan was stripped due to injury. One commentator stated it wasn&apos;t ridiculous because Bryan can&apos;t defend the belt, while Brock still can but in the right situations. That wasn&apos;t my point. The point is, the WWE World Heavyweight Championship is nowhere to be seen. Lesnar, as a part-time champion, has not worked and it will only get worse with every show that he misses. Why take the belt off Bryan in the first place if they&apos;re not going to showcase the WWE World Heavyweight Championship? The Authority&apos;s storyline reasoning for having him vacate it was because the "WWE Universe deserved a fighting champion," which Lesnar is not. December 2012: What is the deal with some of the independent standouts that have come to WWE but have not been called up? Wrestlers like Chris Hero & Brodie Lee? - Chris Hero (as Kassius Ohno) and Brodie Lee (as Luke Harper) are working in NXT Wrestling in preparation for the main WWE roster. 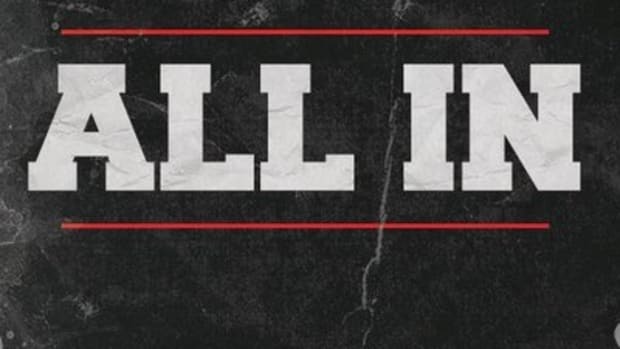 WWE’s developmental system is loaded with talent and it all comes down to creative plans and the correct opportunity before they are called up. There is no guarantee when a worker signs a developmental contract they will get the call-up but it’s up to them to work hard to impress company officials in Florida. A friend of mine, who is also a long term wrestling fan, made an interesting point about how the WWE World Heavyweight Championship isn&apos;t being routinely defended. Back in the 80s the title would only be defended once every few months and it definitely kept the excitement alive. Fast forward through the 90s and 00s and everyone essentially has held the belt, some upwards of 15 times. The title is clearly cheapened beyond repair, so therefore isn&apos;t it better to not see it for a long time in order to build the value back up? Perhaps it is better to have Brock Lesnar be this part time champion for the greater long term viability? Any thoughts? Your friend isn&apos;t the first to make this point; in fact, I&apos;ve had several people counter my arguments regarding Brock Lesnar [as part-time champion] with the same point. The problem is it&apos;s 2014, not 1984. So much has changed with business in large part due to the amount of content each week. Without considering Total Divas or pay-per-views, WWE has 8 hours of new programming each week (Raw, Main Event, Superstars, NXT & Smackdown). Throw in the fact there is now a 24/7 365 live streaming Network and the WWE fan is overloaded with content. One can literally watch nothing but WWE (without considering TNA, ROH or any other promotion) all the time. I agree WWE has gotten overzealous in the frequency they change their titles in recent years, however, there is so much content it&apos;s very easy to completely forget about the World Heavyweight Champion when they miss a few weeks of television. So to answer your question or give you my thoughts, there&apos;s too much content and too much visibility to only see the WWE World Heavyweight Champion every couple of months. WWE always claims that magic happens when they are at Madison Square Garden. Why don&apos;t they ever do Monday Night Raw or PPVs there? WWE runs live events over television tapings and/or pay-per-views at Madison Square Garden because it&apos;s expensive. Jim Ross recently wrote on his blog that when he was with WWE they would sellout Madison Square Garden for Raw and still lose money. I don&apos;t know the difference in taxes/fees from running at Madison Square Garden from the Barclays Center, however, I know that&apos;s the reason for not doing more TVs or PPVs at the former. Were you surprised at the release of Justin Roberts? Yes, I like everyone else was shocked to hear that Justin Roberts was released from WWE. I put my best contacts on the story and have been assured his release had to do with WWE trying to get him to take a pay cut and him being reluctant. He was well-liked and there wasn&apos;t a scandal or any backstage heat that resulted in his release. I thought Roberts was great in the role and will miss his voice. Is Kurt Angle finally coming back home to WWE? We ran a detailed update on Kurt Angle earlier this week in our Backstage News section. It was there I explained that Angle&apos;s contract with TNA Wrestling expired on September 21, 2014 and he remains a free agent. TNA was believed to be in the lead to re-sign him, however, they aren&apos;t offering contracts until their TV is sorted. Angle has had varying degrees of interest from WWE over the course of the past couple of months. Just when I was ready to put it to bed and that Angle wasn&apos;t returning to WWE, it appears there is interest once again. I&apos;m told if Angle would reach an agreement with WWE it would be on a part-time basis involving limited dates. However, TNA still has a decent shot to re-sign him as well. If I had to break it down I would say there is a 75% chance he re-signs with TNA, a 20% chance he ends up back in WWE and a 5% chance he ends up somewhere else. With some of the negative feedback from this year&apos;s Bound For Glory, do you see it negatively impacting TNA&apos;s negotiations for a new domestic TV deal? This year&apos;s Bound For Glory was a low point for TNA. I know attendance was good and it was passed off as a big international event, however, there was very little interest in TNA&apos;s key markets. In fact, I highlighted the social media activity of TNA President Dixie Carter during the event and concluded it was sad. She was trying to pass it off as a big event and it came across as the President of a company sitting in a room watching the show by herself. As for TNA&apos;s domestic TV negotiations, there has been optimism surrounding a new deal lately, however, the new deal does not appear to be with Spike TV. I&apos;ve stated on numerous occasions the first part in stabilizing the company is to sign a new domestic TV deal. Once that is complete, the company can address other issues and can decide how they move forward. Make no mistake about it however, without Spike TV, TNA will be forced to scale back from what we&apos;re used to seeing from them. July 2008: How did Ask WNW come about and what made you start this? - I started Ask WNW in June 2007 because we got so many questions sent to us about wrestling I thought that it would be a good idea to start answering questions on the site. Also I am always looking to add features that make us different since so many websites rip off every piece of content that we put out. Ask WNW is a Monday-Friday ritual for me and I actually enjoy doing it.